I can only reveal to you two items. The items for this year’s box… Well, if you had a monitor and a CPU, you’re all set already. ANYWAY Let’s have a close up on the Alcatroz items! 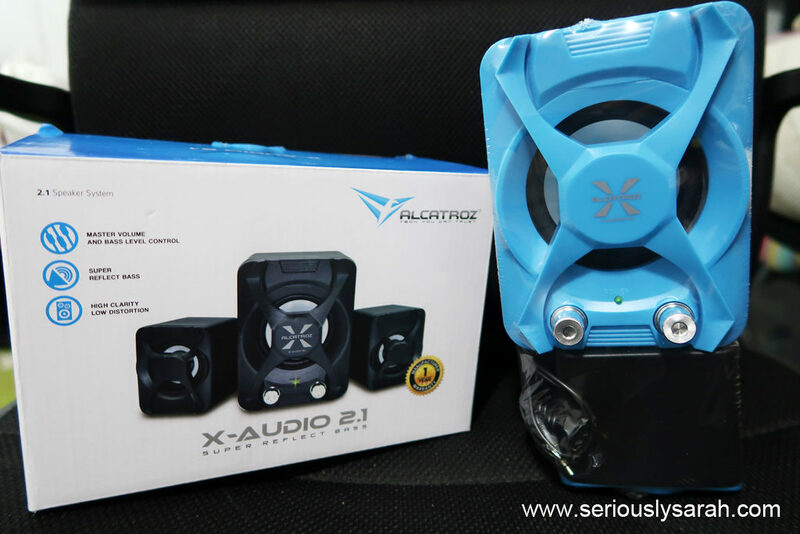 The X-Audio 2.1 with super reflect bass comes in the box like that. 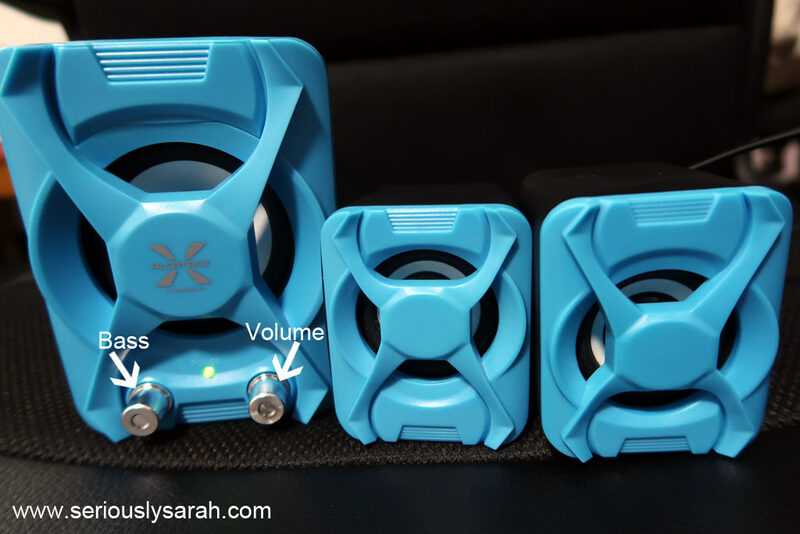 The speakers are powered by one usb cable and to connect your computer/phone/whatever is by one audio input cable. You can control the volume on the right and the bass amount on the left. 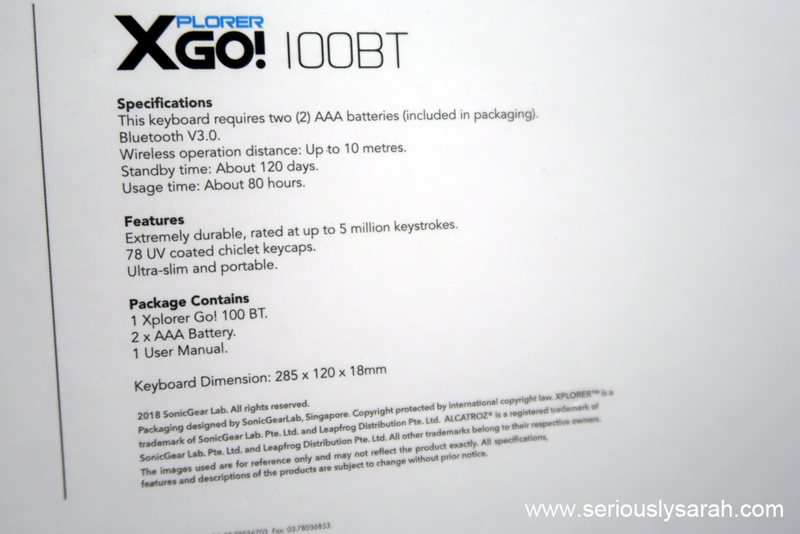 Next is the Alcatroz Xplorer Go! 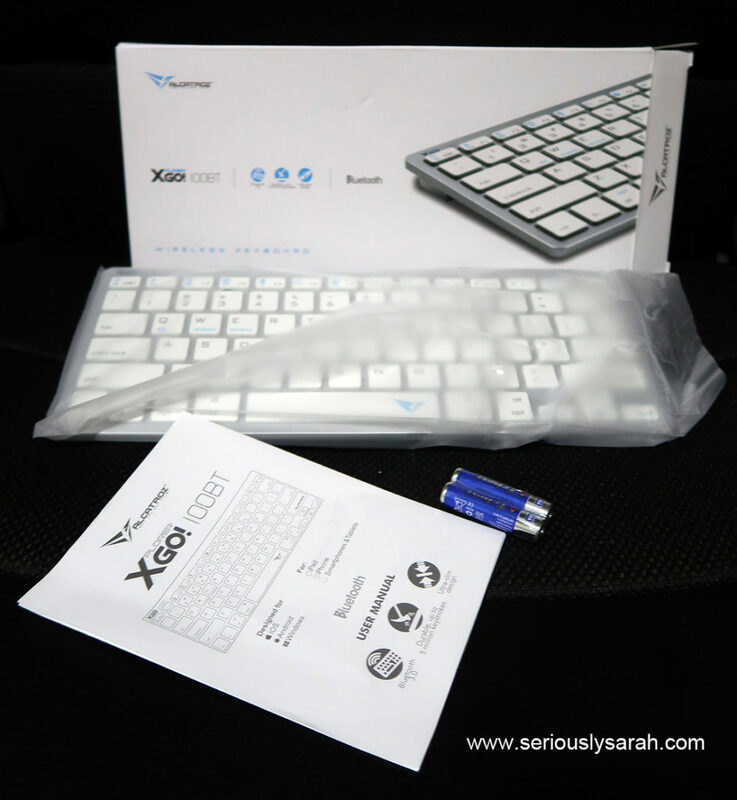 100BT bluetooth keyboard. It comes with batteries so you can just use it out of the box. 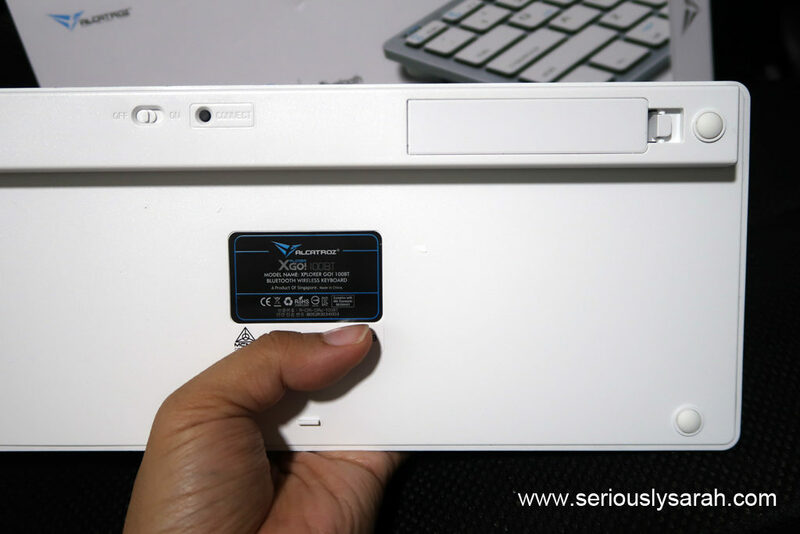 Insert batteries at the back, the on and off switch is there along with the bluetooth connection button. Here’s the stats. 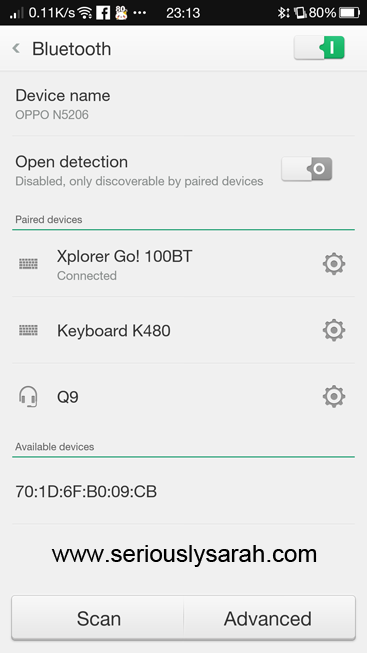 Also you can use it on iOS/Android/Mac/PC. 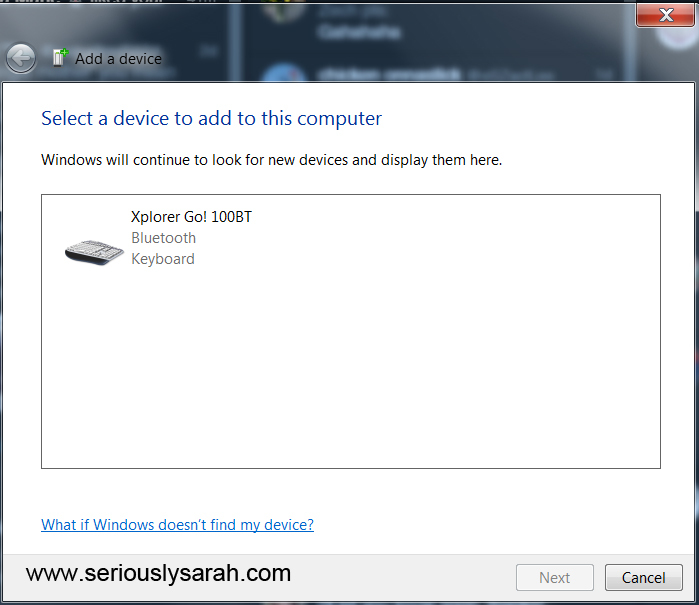 Pretty easy to connect for PC and it works just like that. Same with Android. Didn’t have a Mac/iOS device to test out with but it should work. 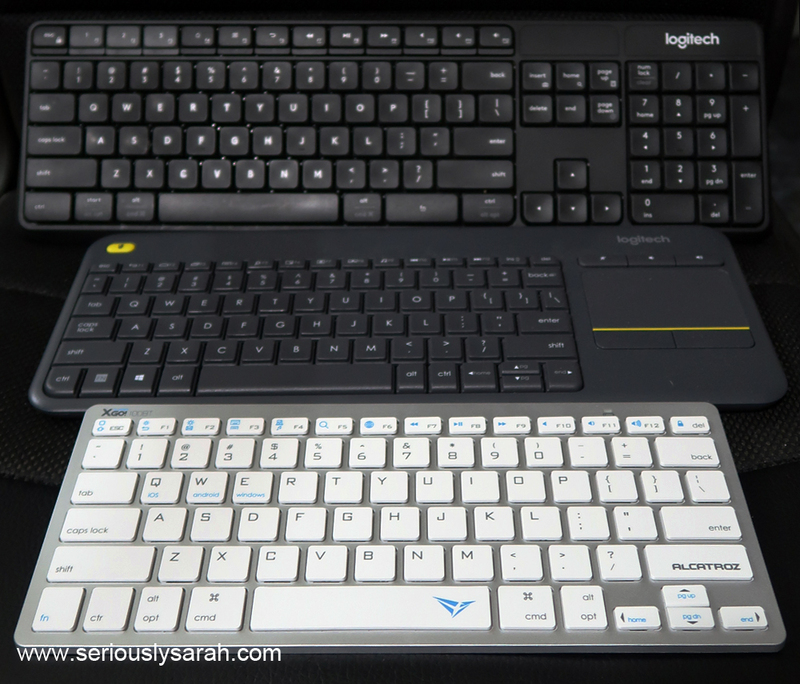 Compared to other wireless keyboards at home, this is one of the lightest and smallest since it doesn’t have extra space for a numberpad or a trackpad. So there’s two Alcatroz items in the Leapfrog Surprise Box which already is worth more than $29 together! 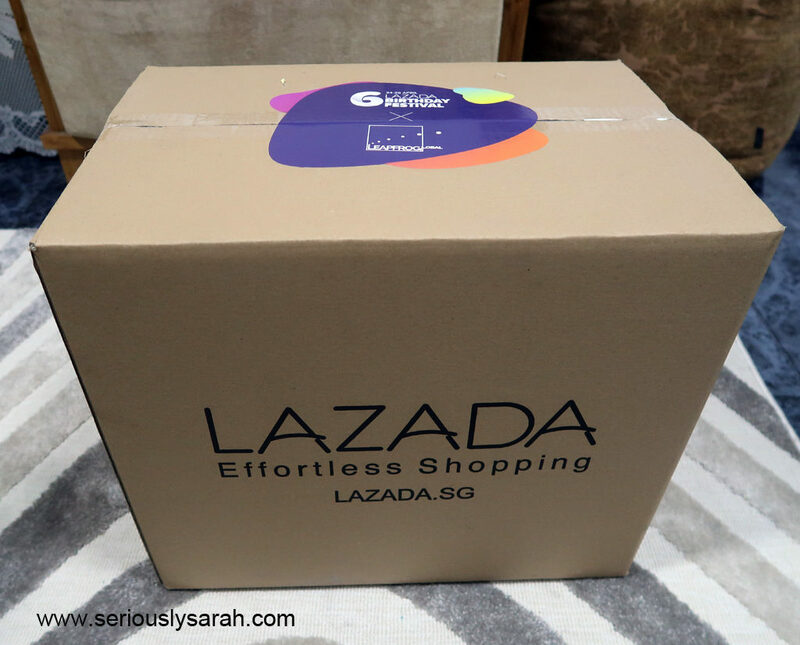 Valid for the first 100 new customers only, you can get 18% off, capped at $6 with the voucher code: LAZPARTYNC6 if this is your first time buying at Lazada. As always, the surprise boxes are the first to go, you can click this link to start to refresh when it is the 24 April to just head straight to buying it. Good luck to all! Next Next post: Eat like a Champ at Mahota!